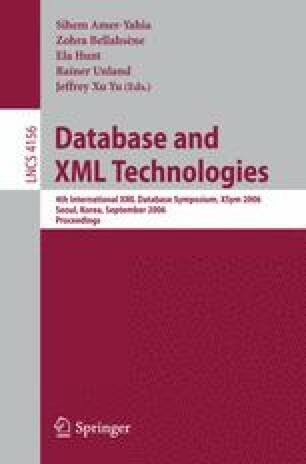 XML query languages feature powerful primitives for formulating queries, involving comparison expressions which are existentially quantified. If such comparisons involve several scopes, they are correlated and, thus, become difficult to evaluate efficiently. In this paper, we develop a new ternary operator, called Kappa-Join, for efficiently evaluating queries with existential quantification. In XML queries, a correlation predicate can occur conjunctively and disjunctively. Our decorrelation approach not only improves performance in the conjunctive case, but also allows decorrelation of the disjunctive case. The latter is not possible with any known technique. In an experimental evaluation, we compare the query execution times of the Kappa-Join with existing XPath evaluation techniques to demonstrate the effectiveness of our new operator.